We know that once you have found your favourite coffee, you will be hooked, so the next thing to do is chose how to buy your coffee every month, and we have given you 2 brilliantly simple options. Firstly, we offer a monthly subscription service which is something you have probably seen before. 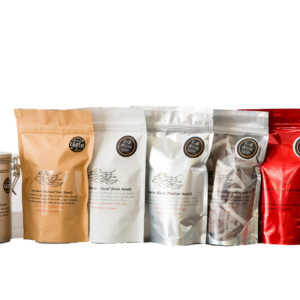 Really easy to set up by just selecting your coffee bag blend, then how long you need it for. Our subscriptions are designed to keep you in charge of your order, you can change it, increase it or decrease it at any time during the subscription. Then we have our annual subscription, simply pay once for a years’ supply of coffee bags. You will get a pouch of 25 coffee bags once a month for a year – really easy! Don’t worry if you fancy a change of blend, then we are happy for you to make 2 change throughout the year. I knew the coffee was going to be good the instant I opened the bag! The smell of freshly ground coffee (in a tea bag) filled my kitchen and needless to say tasted amazing!! All the convenience of instant coffee but with much more flavour and taste. Lovely rich coffee which I use at work – so much better than the horrible instant stuff! Nice and tasty, convenient and clean way to get a good mug of fresh coffee any time of the day or night. This arrived earlier than expected, was transported to my shop the next day and oooh yes, hit just the right spot! Have never used coffee bags before, but I’m finding them very easy and clean to use but with that ‘proper coffee’ taste. So much better than my usual instant. Hope I can find other ‘flavours’ to try. Very fast service – definitely will be ordering more as they are great for husband to use at work without me around to clear up the mess of filter coffee!!! Great packaging, lovely scented coffee and delicious. High recommend.